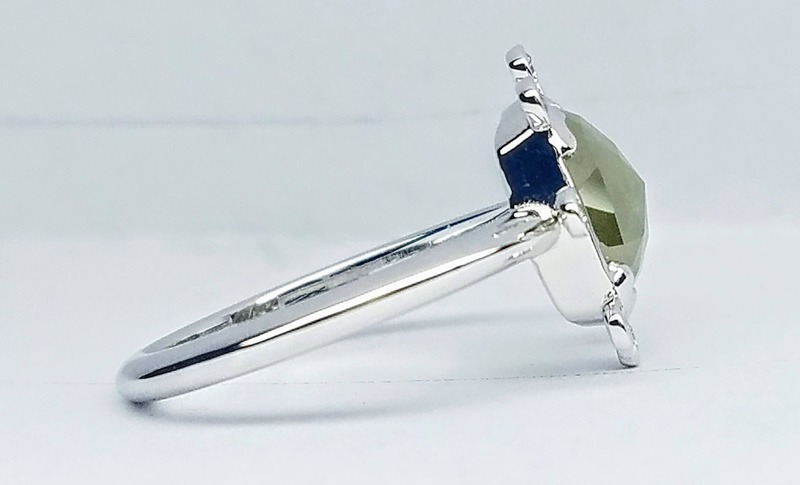 Grey diamond non traditional engagement ring, Raw diamond ring, Rose cut raw diamond ring, White gold engagement ring. 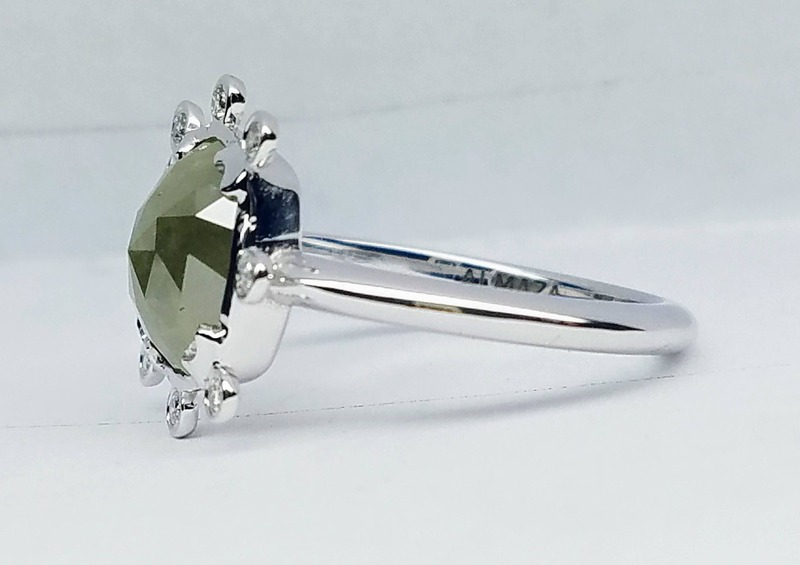 This unique cushion shape, green gray color rose cut raw diamond ring is a non-traditional engagement ring. This rough, rustic look will make your ring truly stand out. Made in 14 karat white gold. 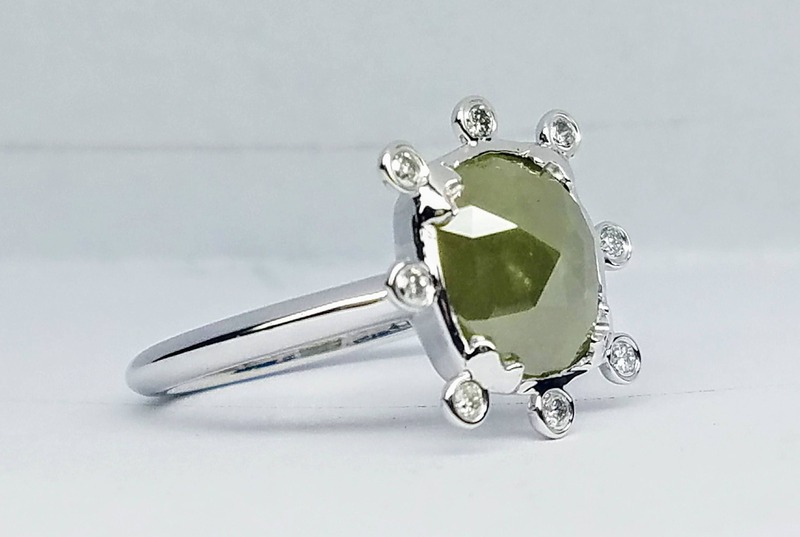 This cushion rose cut raw diamond is 2.19 carat, has facets on top to give it glimmers of sparkle. 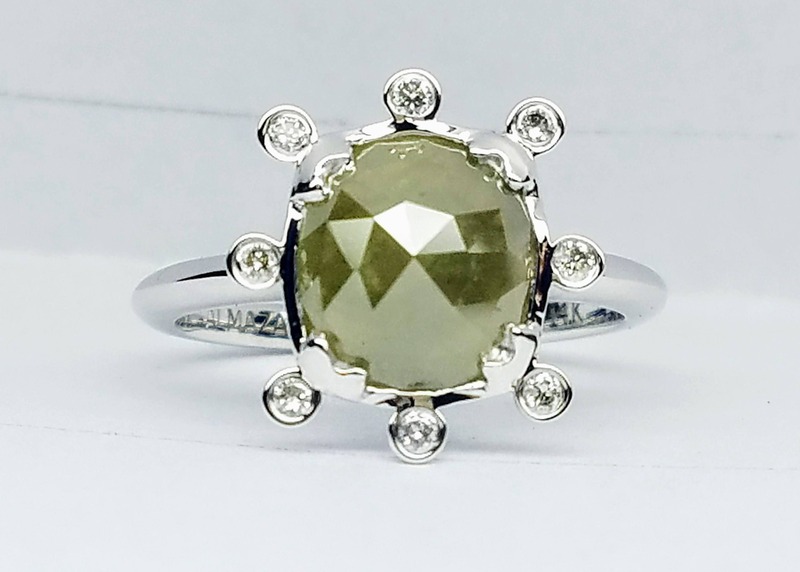 The diamonds on the side of the cushion diamond are bezel set, very sparkly white color and VS very clean clarity.